Instant New York Times Bestseller A stunning debut set in a world where reading is unheard-of, perfect for fans of Inkheart and Shadow and Bone Sefia knows what it means to survive. After her father is brutally murdered, she flees into the wilderness with her aunt Nin, who teaches her to hunt, track, and steal. But when Nin is kidnapped, leaving Sefia completely alone, none of her survival skills can help her discover where Nin's been taken, or if she's even alive. The only clue to both her aunt's disappearance and her father's murder is the odd rectangular object her father left behind, an object she comes to realize is a book-a marvelous item unheard of in her otherwise illiterate society. With the help of this book, and the aid of a mysterious stranger with dark secrets of his own, Sefia sets out to rescue her aunt and find out what really happened the day her father was killed-and punish the people responsible. 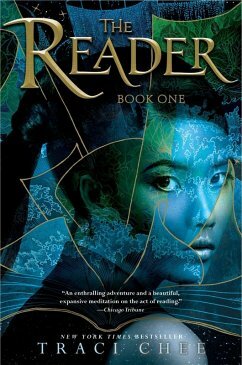 With overlapping stories of swashbuckling pirates and merciless assassins, The Reader is a brilliantly told adventure from an extraordinary new talent.